It’s that time of the season when we’ve grown accustomed to getting strawberries every week in our CSA share, and eating just a basket of strawberries for dessert doesn’t have the appeal that it did back in early May. Here’s a simple recipe for jaded palates featuring the goodness of strawberries. 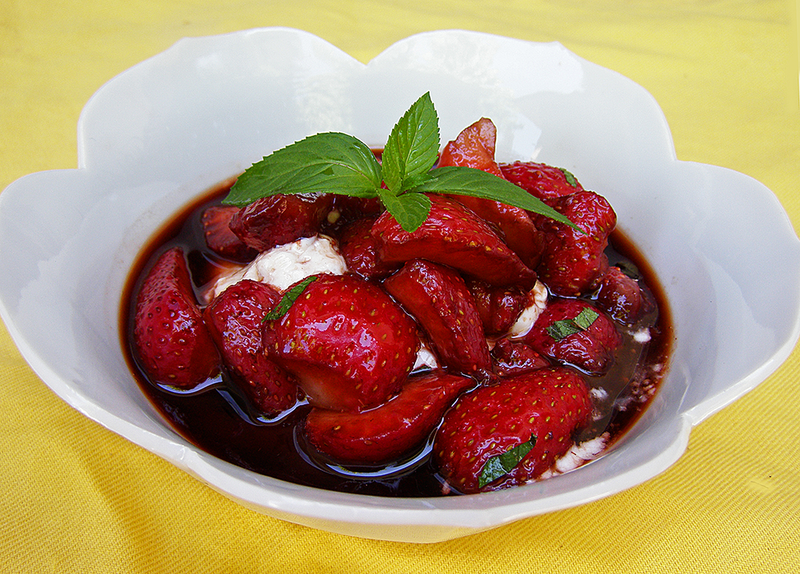 The idea of strawberries and balsamic vinegar seemed strange to me, but in combination with the sugar, the balsamic sauce takes on a strawberry flavor, along with a sweet sophistication. 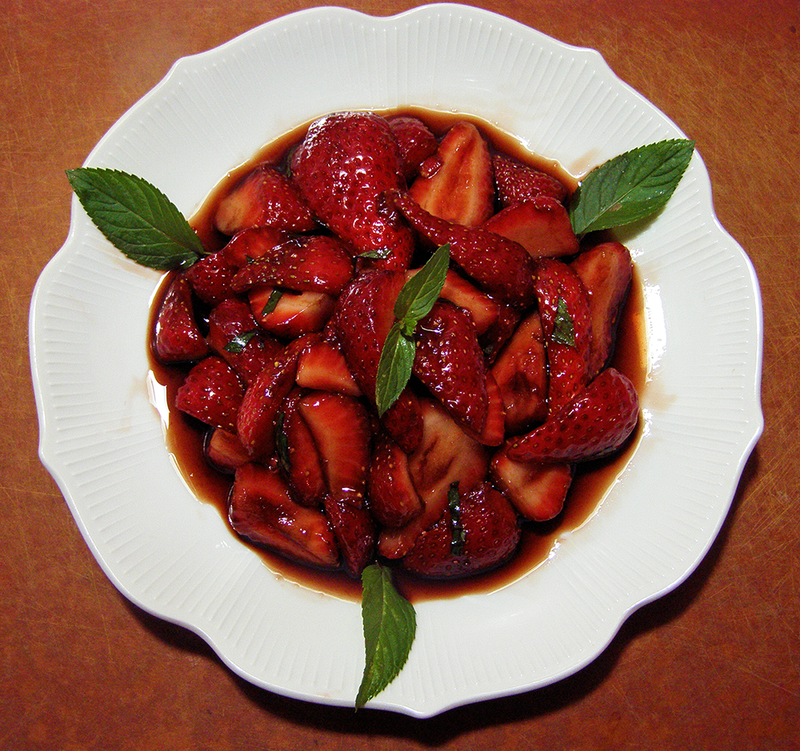 For best results, use a high quality aged balsamic vinegar. You don’t need much, and the flavor is worth the investment. Mint is growing everywhere now. If there’s none in your garden, find a friend or neighbor with some. I used chocolate mint (just happens to have survived last winter), but Persian mint, orange mint, and spearmint are all good choices. Peppermint might be a bit strong, so maybe use a smaller quantity of that. While this is a powerful dessert on its own, I tried it over some yogurt (the Greek kind that’s thick and not too sour) and it was great. I’m thinking it would be even better over vanilla ice cream or custard. This recipe is from an undated Bon Appetit clipping courtesy of Debbie, CSA newsletter editor for Live Earth Farm, and avid recipe maven. I cut this recipe in half, to serve two. Here’s the math: 1/3 cup = 4 tbsp. + 4 tsp., so half-recipe needs 2 tbsp. + 2 tsp. balsamic. It’s best to make this on the day you’ll eat it, within a couple hours of serving time is best. Wash and hull strawberries. Cut them in quarters. You want same-size pieces, so larger berries can be cut into more parts. 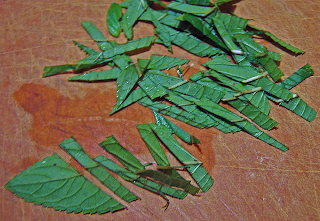 Julienne 12 large mint leaves. 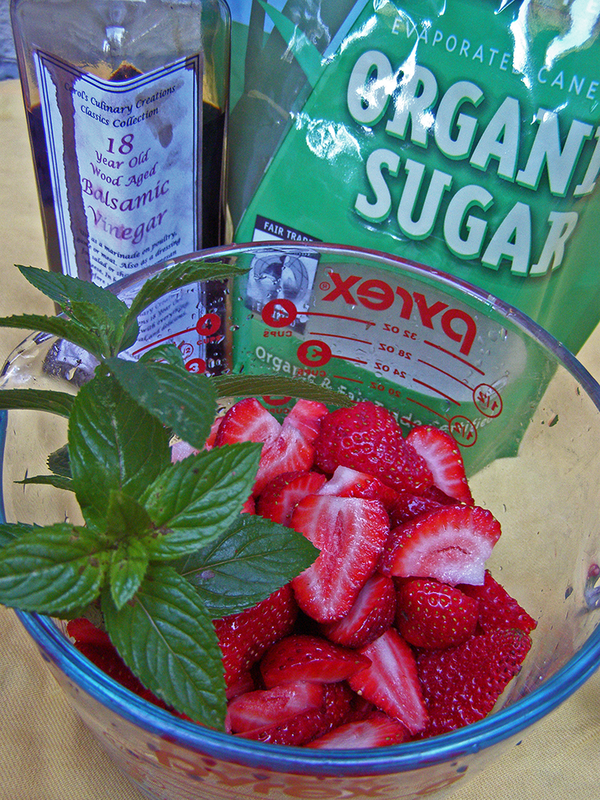 Stir the julienned mint in a large bowl together with the granulated sugar, and vinegar. Stir around, then add strawberries. Toss, and set aside for 30 minutes to allow it to macerate. Mound the strawberries in the centers of each of 4 plates. Spoon marinade around on each plate. 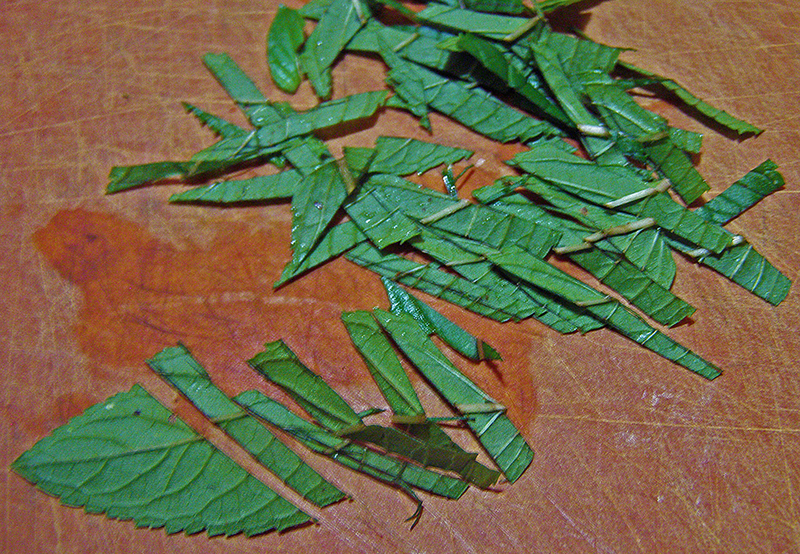 Dust plates with confectioners' sugar, and garnish with whole mint leaves.